As local movers we service the whole Nairobi Metropolitan and its environs. We also cover most cities such as Mombasa, Kisii, Kericho, Athi River, Voi, Kajiado, Thika, Eldoret, Nakuru, Kisumu, Machakos, Nyeri, Naivasha and the entire country. 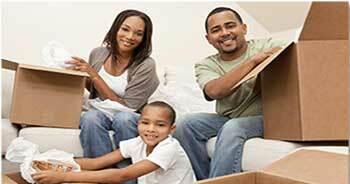 We are dedicated to provide you with the best attention and service when it comes to your moving needs. We are offering wide range of Cross Boarder Moving, Packing and Removals Services to our clients like air, shipping and forwarding together with custom clearance. Wheels Movers was created with the idea of changing the taboos of moving companies.and due to the urgent need of client who urgently needed moving services or to relocate since they could not imagine missing other appointment or business deals yet at the same time needed to relocate. Others found that getting the right person to do this was quite cumbersome. Hence, Wheels Movers came with the solution to these needs. We believe that taking some time to understand the clients needs and their situation will go a long way to provide the correct service for their move. Properly trained,dedicated and disciplined staff ensuring peace of mind. Harmony: seeking harmonious development and win-win results. In Wheels , we understand the art of keeping the customer first within our supply chain management, product support and exceptional care in cargo service riding high as a distinguished and most experienced, credible and reliable partner in business. With a massive investment in technology our hands-on service policy has greatly rewarded the hard work and relentless concern we have for customer satisfaction.